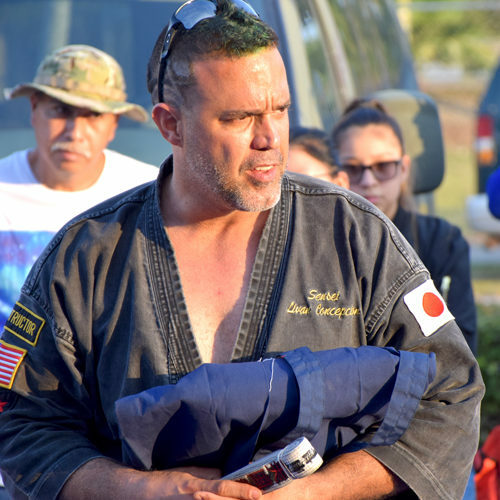 Livan is the chief Instructor and is currently the only martial arts instructor within the Greater Florida City/City of Homestead area that holds a valid Florida Department of Education Teaching License. He also holds a fifth-degree black belt in black lotus ju-jitsu and a second-degree black belt in atemi ryu. The American Ju-Jitsu Center “Homestead’s Ultimate Ju-Jitsu Studio” offers a wide variety of programs including; After school & Summer Camp program, Children & Adult Self Defense Classes, Weapons Courses, State & National Competition Team, Fitness MMA Program, Kick n Fit Fitness Program, Tiny Tigers Karate for ages 3 to 6, Sport Karate, & Gymnastics programs!